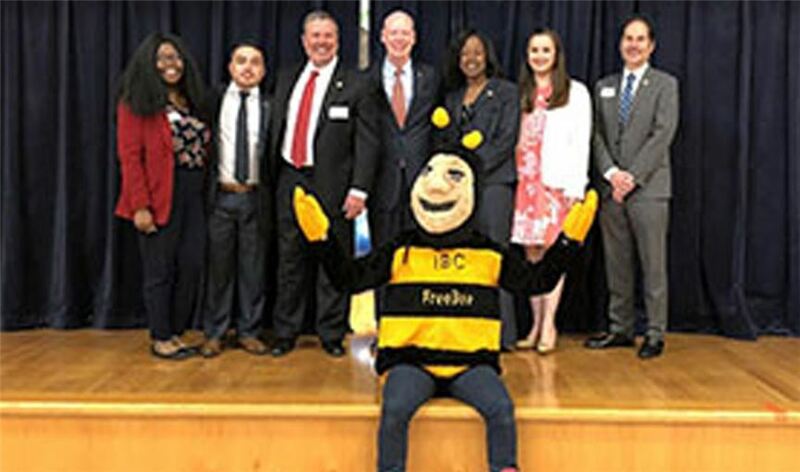 AUSTIN, Texas - IBC Bank-Austin and Blackshear Elementary School, celebrated the grand opening of their Minitropolis® program with a ribbon-cutting ceremony. IBC Bank-Austin CEO and President Robert Barnes commemorated the occasion, along with the students, city and county officials. "We're proud to join forces with Blackshear Elementary School," said Barnes. "The Minitropolis®program prepares these children with financial lessons that will position them for success as adults. The goal is to build up our financial literacy initiatives so that we can provide a Minitropolis® to every elementary school around Austin."